In his new book STORM, Brooklyn Tabernacle pastor Jim Cymbala examines the alarming challenges modern churches face and inspires the hope needed to overcome them. Brooklyn Tabernacle pastor Jim Cymbala believes that the Church is on the edge of a major storm. The warning signs of decreasing church attendance, watered-down messages, and pastor burnout are all around. In his first prophetic book, STORM: Hearing Jesus for the Times We Live In, Cymbala examines the alarming challenges modern churches face and inspires the hope needed to overcome them. With stories of changed lives and growing churches, he draws readers back to prayer, offers ways to lead with love, and reminds readers why the message of grace matters more than political trappings. STORM raises the alarm about the spiritual and cultural forces railing against the Church today and offers hope in God’s plan that we might not only weather the storm, but emerge triumphant as a light shining in the darkness. 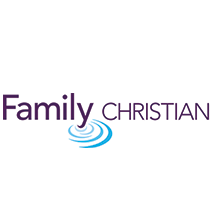 Click here to purchase STORM from the Family Christian online bookstore.